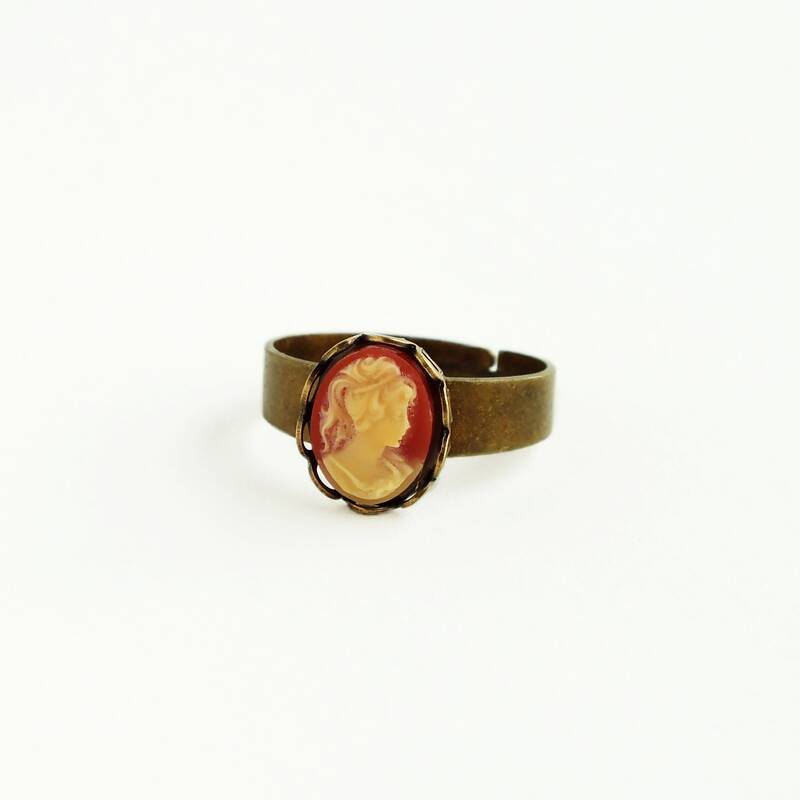 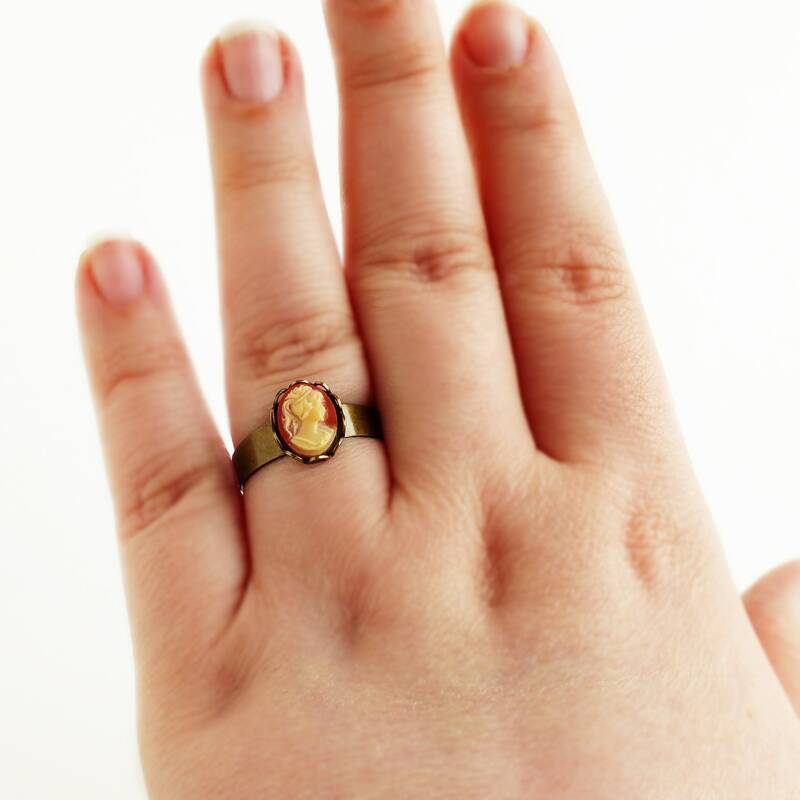 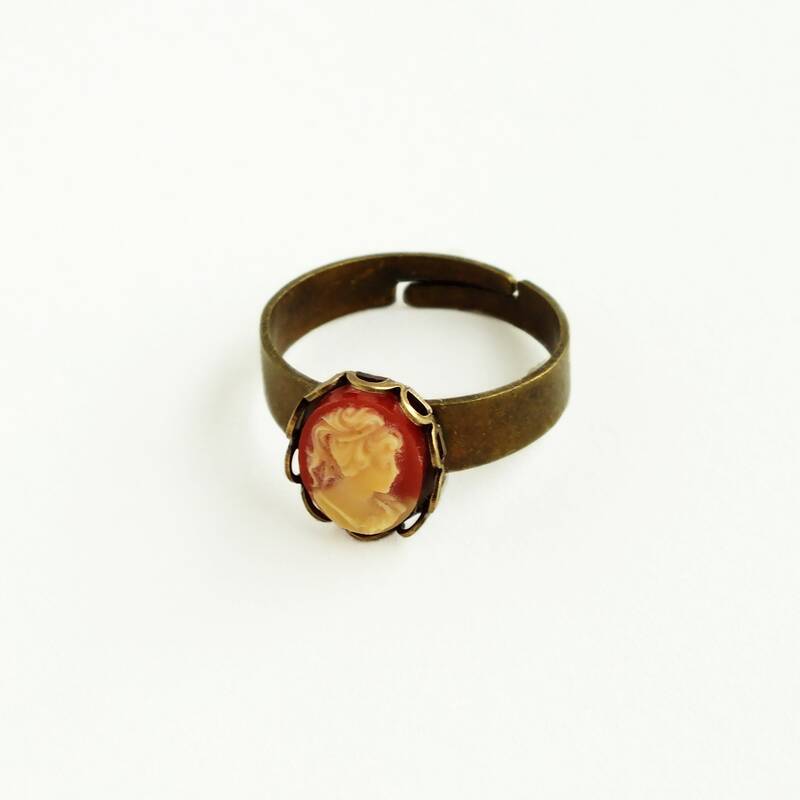 Small handmade Victorian cameo ring with a vintage carnelian resin cameo and adjustable brass band. 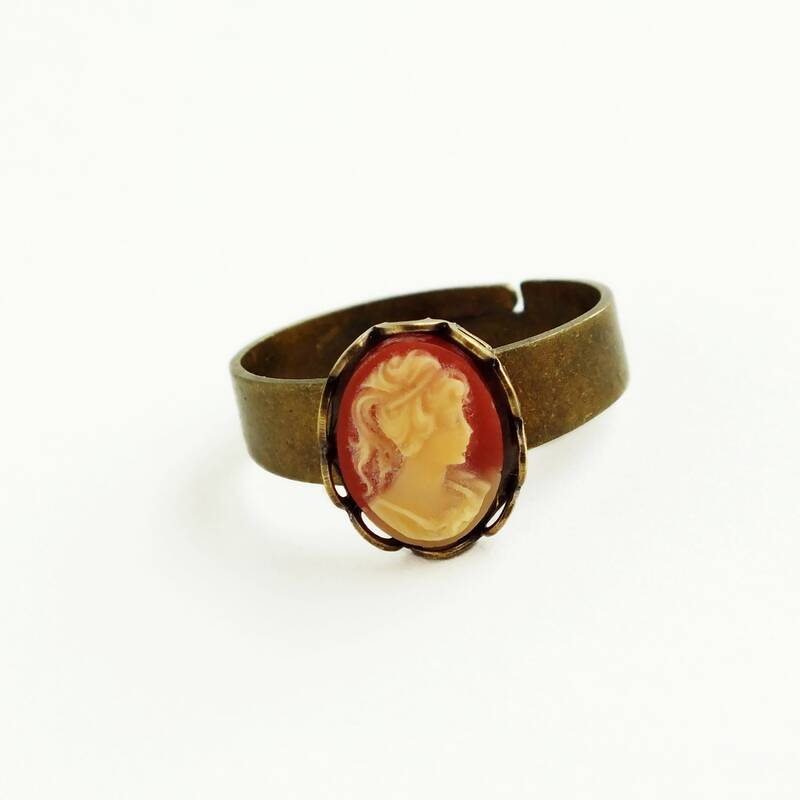 Made with a small vintage resin cameo with a Victorian style portrait in ivory on carnelian. 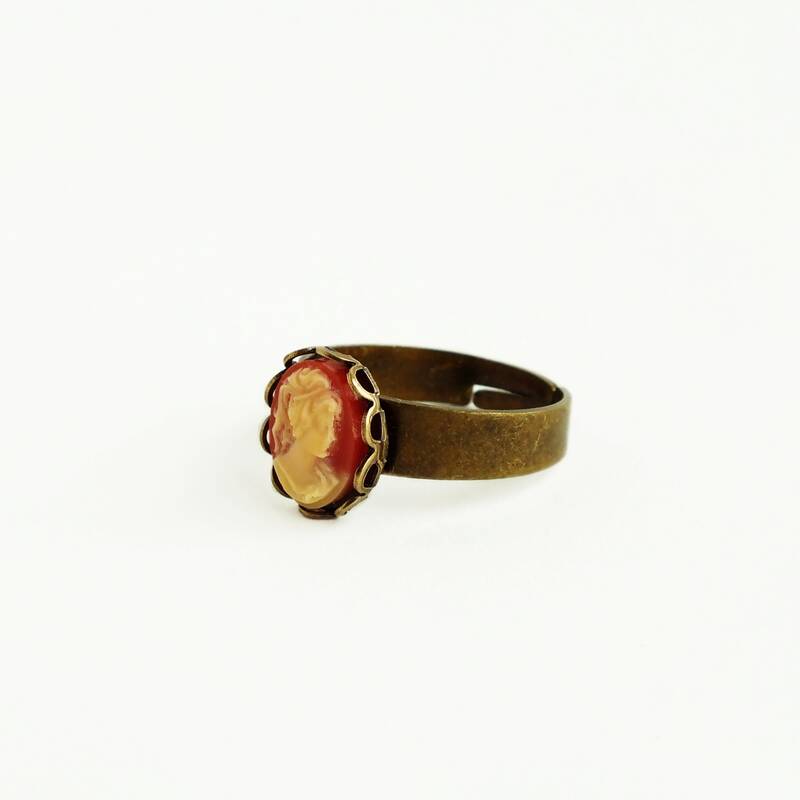 Set in a dark brass lacy setting secured to a high quality nickel-free antique brass band.